Dell Optiplex Gx620 Intel P4 HT 3.0Ghz/ 1GB/80GB/ DVD+/-RW Drive. Off-Lease Tower Desktop PC. Professionally refurbished and upgraded to meet present demands. 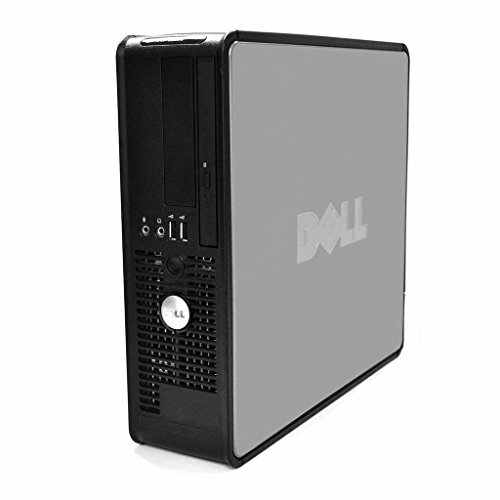 This system handles everyday tasks such Internet, Office, Music, Movies as good as any newer Dell PC. At the same time you get to keep a bunch for other things. It comes with a fresh Windows XP Pro sp3 Operating System. \"Fresh\" means that it was installed from a scratch, loaded with necessary drivers and productivity software only. You will find no promotional junk or any useless software designed to slow performance of your PC. It makes great sense to purchase your next PC from us. We are small company and work with all our clients individually. Our reputation and customer feedbacks are the most valuable asset of the company. Pentium 3.0Ghz, 80GB Hard Drive SATA. Power Cable! Combo (Burns&Reads CDs and plays DVDs) Watch Your Favorite Movies!